” A world in turmoil !” Energy dependence, geopolitical tensions, Peak Oil, climate and environment, CO2 emissions and fine particles, financial crisis, worldwide money flows, new technologies, etc. are tumbling over eachother. It is very difficult to focus on the right selection of solutions and policy directions. Vested parties with vested interests simultaneously try to vigorlously defend their position. The author of the attached article, managing partner of HeeCon Business Development reviewed in depth the energy aspects of a sustainable future. To his opinion the main solution is electrification of road transport and -traffic, combined with large scale as well as local solar- and wind energy generation. Proper use of the energy storage and grid support potential of the (PH)EV vehicle can further enhance the positive consequences of the suggested solutions”. The world is facing dramatic developments. 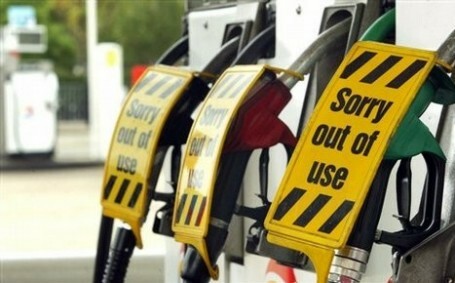 Prices of fossil fuels are increasing rapidly. The peak oil scenario’s, reflecting a growing lack of reserves and production capacity against increasing demand, look gloomy. Energy is becoming more and more a political weapon in a world with decreasing political stability. We are simultaneously confronted with severe problems concerning climate and environment. Our world wide economy is dominantly controlled by free market powers. Nothing would be wrong with that as long as these free market powers would have a predominantly long-term perspective. This is not the case. Short term financial return, market position, opposition against change and an ethics not primarily geared towards the common good have become the dominant factors in the business domain, thus imprisoning society. It is an illusion and unwarranted to abandon a free market system. There is in fact no better system to deliver goods and services at low prices. It is therefore necessary to get the dramatic energy situation under control. This can be realized through (i) continued creation of awareness / sense of urgency, (ii) the subsequent enforcement of restrictions, (iii) stimulation of economically and ecologically viable options and (iv) the moulding of new alliances for change. It is inevitable to use “The stick and carrot” method, enforced by society and politicians, more frequently as well as more intense, in order to change course from a path to disaster. This needs to be done rapidly, not by an increased complicated regulatory regime, but by political choices and the enforcement of simple rules, which are easy to handle. CSP (Concentrating Solar Power): much better fits the application of large scale electricity generation. Can be competitive with fossil fuels by 2020. There are no real limitations to realize such a goal. This subject will be dealt with separately. Power generation through Geothermal energy: offers reasonable opportunities, but is strongly dependent on accessibility of thermal heat, a consequence of geological conditions. Shallow geothermic can be used for heat and cold storage and can serve the case of energy neutral construction. Direct application of nature based ingredients for application in the chemical industry. Gasification of waste and cellulose based biomass generates synthesis gas (“Syngas”). Many chemicals originate from syngas including methanol, which is a base material for the chemical industry, now originating from natural gas (see Prof.Dr George Olah: “Beyond Oil and Gas, the Methanol Economy”). Many other examples are there and should be explored. Great amounts of energy can be saved, a lot of waste can be prevented, several other advantages can be scored. Electric power generation and transport are jointly responsible for roughly 40% of world wide CO2 – and other gaseous emissions. 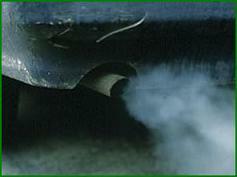 Fine particle emissions from transport are causing additional serious problems as a consequence of which the environment related problems caused by vehicles are worse than only as a consequence of gaseous emissions. In the Netherlands some 18.000 people yearly die, due to fine particle emissions, sooner than they would have without these emissions, numerous building sites in the Netherlands are abandoned due to an inability to meet fine particle emission standards from the EU and new development projects cannot be started because of the same reasons. The other 60% created by the chemical and agricultural industry, heating of real estate, etc. will decrease as well, as long they take their share in increasing the energy efficiency. Supply of energy to the referred two segments of our energy society is of key importance for the functioning of our society. From here on this summary will concentrate on these two segments. Major, in the perception of many probably draconic interventions are necessary soon to prevent disaster. The question is: what needs to be done, what is practical, how can it be done, how can the best effect be realized at short notice. Decreasing availability of oil and gas and rising prices are perceived and promoted reasons to shift to coal fired power stations. Emission of CO2 and lack of availability of CCS are reason to reconsider such a step seriously. Ceteris paribus the same applies to nuclear. The availability and economic viability of sustainable alternatives adds significant weight to these objections. Several sustainable solutions by themselves however are inadequate to comply with growing demand and necessary replacement of power stations. The phenomenon of ‘externalisation of costs’ is significantly underestimated (costs originating from a source, but not carried by that source, but by the society). Emancipation of this phenomenon will add significant weight to the case for –the expediency and viability of- sustainable solutions. The transport sector is betting heavily on biofuels, CNG/LNG and hydrogen. The problems with biofuels and hydrogen have been referred to in the Quick Scan in the introduction. The growing dependence on gas, supplied by politically unstable regimes, is increasing. The CNG/LNG route for transport applications is therefore highly questionable and above that, not a sustainable solution. The ICE (Internal Combustion Engine) is the prevailing propulsion system for cars. The whole car supply industry is based on that paradigm, notwithstanding the fact that the ICE is an inherent inefficient and polluting device. All major actions in the automotive industry are aimed at the conservation of an inherent inefficient system. Prevailing market forces oppose change. The hybrid concept in most of the cases is just an add on to the ICE, although revolutionary change is possible and much better serves the purpose. The key question is:” What is an expedient course and how can fitting action be taken”. The answer is:” (i) the solutions are at hand, (ii) can be implemented when the right decisions are taken and (iii) the implementation is strongly stimulated”. Solar energy in combination with the all electric vehicle is the answer. There is, with all due respect for other solutions, as summarized in the introduction, a lot to be gained at reasonable short notice, through focussing on these two main items. Dramatic change should be possible to start by 2012 and become really effective by 2020 and not by 2050. A more revolutionary than evolutionary trajectory, as advocated by vested parties, is expedient, as well as possible. Along all relevant axis of sustainability: economical, ecological, social. 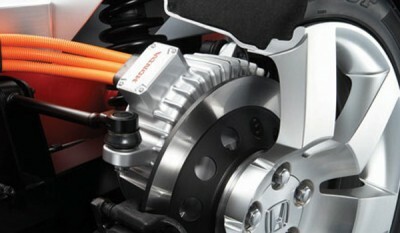 Specifically the so called Direct Drive In-Wheel (DDIW) configuration is very promising and ready to enter the market. Electric vehicles will in due time become more maintenance friendly as well as cheaper than the present generation of vehicles. Reduced pricing is on the one side a consequence of basically a simpler and straightforward system on the other side industrialisation and anticipated economy of quantities. Treating the battery of a vehicle as a system to be financed separately can already provide relief on the cost price of an EV. Savings on energy costs can off set lease costs for a battery. The only moving parts left in the drive train of DDIW driven vehicles are the wheels. Electric motors in the wheels include integrated electronics and software for most of the driving control functions. A master controller synchronizes separate wheel functions. Much more energy efficient. Driving 1800 km/month for a conventional vehicle requires in the range of € 250/month fuel costs. A similar electric vehicle will, charged through electricity, require in the range of 20% of that amount for a similar distance. This is partly caused by fiscal reasons, partly by a much better energy efficiency than through using the ICE, which is notoriously inherently inefficient. There are by now several examples of Hybrid and EV vehicles starting to enter the market. Its market introduction should be strongly stimulated. The sun provides a continuous enormous amount of energy to the earth’s surface, a great multiple of energy actually used by the society. 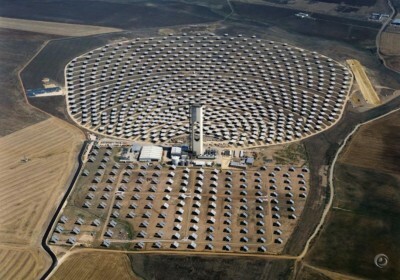 Concentrating solar energy is nearly as old as mankind. Embedding its practical application in nowadays technology is called Concentrating Solar Power (CSP): mirrors used to concentrate solar energy and transferring that energy into a conventional power station, generating electric power. 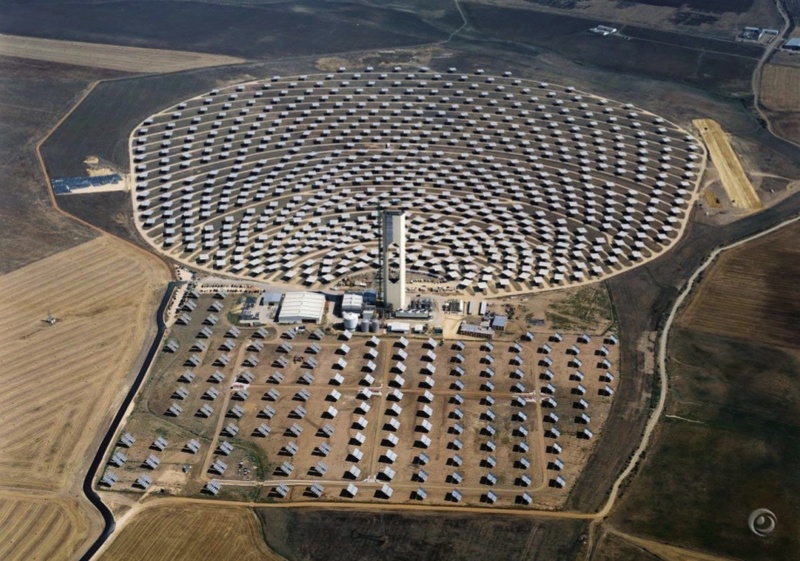 CSP is therefore in fact nothing else than a conventional power station in which the burners of fossil fuels are replaced by a mirror field collecting sun energy. The concept is practically proven and is awaiting further multiplication and industrialisation. The higher the inward radiation, the more energy. The Sahara region has one of the highest levels of inward radiation of the world and is therefore very suitable for CSP application. Photo Voltaic (PV) is based on the effect of light on semiconductors. Doped and layered semiconductors generate a voltage difference between layers when exposed to daylight. The amount of energy is a derivative of the amount of light, not of heat. Too much heat because of inward radiation has negative effects on life time and output of PV. CSP is for economic reasons much better fit for large scale application, specifically in the Sahara region than PV. PV can support off grid local applications and can score on competitive positioning based on the lack of necessity to connect to the grid. Present electric cars have battery packages on board with an energy content of 20-25 kWhr, which is, because of regenerative braking good enough for city traffic, but inadequate for long distance driving. Growth to 40-50 kWhr can be anticipated for the foreseeable future. That amount of energy should be adequate to serve better than 90% of all driving conditions. Electric charging of vehicles then becomes the dominant way to replenish energy of cars. A small on board generator set can still be an option for long distance driving. Small, light and highly efficient systems are in preparation, transferring fuel energy into electric energy. Electric cars can be charged from the grid during night hours. The grid is during night hours lightly loaded. There is enough capacity available to charge many vehicles during night time. PV cells on the roof of cars can complement recharging of the on board energy system. The output of PV cells is however not adequate to rely on only when powering vehicles. The powering of experimental sun energy propelled cars cannot be compared with commercial vehicles. An example: Imagine 20% of all European cars to be electric. This represents 36 million cars. Imagine these cars need to receive 6 KWhr during predominantly night hours. This represents 216 GWhr per night. Assuming this charging to take 6 hrs requires 36 GW installed power to take care of charging the referred amount of vehicles. That amount is readily available. This vehicle charging generates an additional income of € 54 million/night (assuming a rate of € 0,25/Kwhr) for electricity companies, a total of € 19,7 billion/year with consequential improvements on ROI of invested capital and profitability and dramatic savings on gaseous emissions as well as fine dust particles. Such additional income should at least partially be used to install real sustainable generating power to support additional growth of electricity consumption. This needs to be synchronized with adaptation of the infrastructure to include the energy supply services, a consequence of accelerated market penetration of electric vehicles. Allocating 25% of additional income of electricity companies, a consequence of charging 20% of cars, to CSP investments represents an allocation of € 5 billion/yr for investments in CSP. Such a yearly allocation suffices to make CSP competitive with fossil fuels within a period of 10 years. This example shows a healthy business case for the electricity companies. But more is to be gained when taking the onboard energy capacity of cars as a buffer when needed by the grid. Cars only drive a small portion of the time. They are mostly sitting idle. 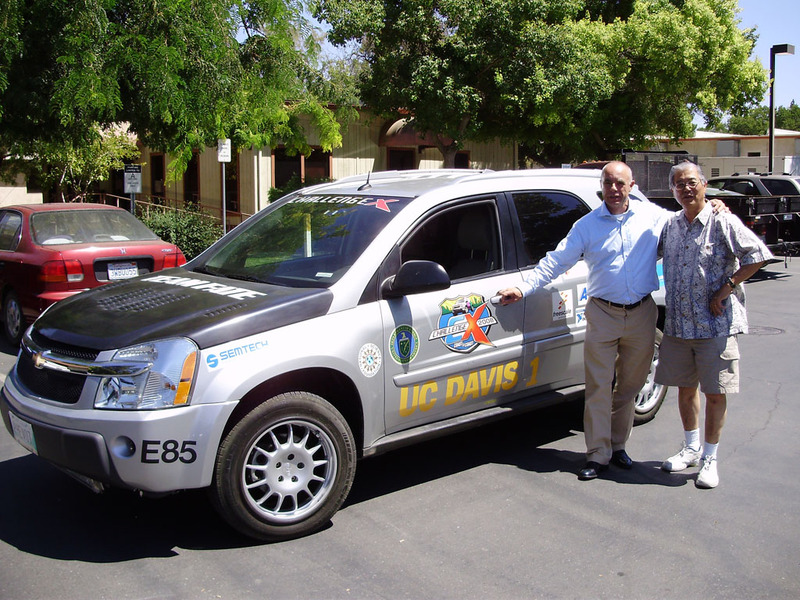 Electric cars have electric power on board, which can be used as an off grid power source. 20% of cars being electric represents an off grid power capacity of 500-700 GW, which is more than the total electric generating power installed all over Europe presently. The electric car can therefore become a serious power buffer in a dynamic electricity driven society. Electric cars are no power source, they consume power and have their energy storage system on board. This system needs to be recharged. CSP is the ideal sustainable solution to do so. CSP is strongly dependent on bright sunlight with high inward radiation. The Sahara region fits that requirement. There is no power produced during night hours. Buffering of power is therefore necessary. This buffering can be done through local provisions, enabling the CSP stations to store their energy for night time generation purposes. Such systems are now emerging from research. Dependence on the buffering function of vehicle energy storage systems is however another possibility. When Wind and CSP power start to enter the grid at significant levels, the grid dynamics will change. Charging electric vehicles during day time may then become more attractive. The buffer function of electric vehicles may then shift from potential day time peak support to a more evenly spread support role during the course of the full 24 hours. Again: such a dynamic system should be stimulated by electricity companies. Eurelectric, the association of European electricity companies, is currently already researching this, a fact underlining a growing consensus amongst its member utilities concerning a possible massive introduction and integration of the EV. We are in this summary referring to medium and long term sustainability with however planning horizons a lot shorter than 2050. More precisely, this means starting in 2012 with significant impact in major dimensions of sustainability starting 2020. Europe however needs to thrive, or at least survive from an energy perspective during that period as well. The Sahara region is of crucial importance for Europe for the application of CSP. This is simultaneously a region with oil and gas reserves exceeding these of total Europe, excluding Russia. Political interest for North Africa is increasing. France is leading that development with its proposal for the Mediterranean Union. This political movement should be embraced by the whole of Europe. It will create greater political and economic stability in a region in many aspects very important for Europe. In such a stable and cooperative environment it should be possible to negotiate and realize a situation in which North Africa becomes the key alternative fossil fuel supply region for Europe in the short and medium term. Increased supply at short and medium term from that region is economically justified in exchange for accelerated joint CSP development in the same region for the medium and long term. Such a strategy has been described in the attached summary and is considered to be a key factor for success. Politicians and civil servants: they are seldom experts in energy and industry. They follow the market, which is predominantly controlled by vested parties imprisoning the society in the protection of their vested interests. Independent scientists often are strongly influenced as well through the influence of the same vested parties. The consequences are clear, the circle is closed. Condemning industry, politicians, civil servants and the free market system is not what is implied here. Rather a cure is sought for its self destructive aspects, thus enabling it to continue doing what it’s good at: delivering goods and services at low prices. The only way to change is through (i) pressure from that same society, (ii) the moulding of new alliances and regulations, forcing as well as tempting society and industry to change. The above is based on a quick scan, testing of market developments and definition of a possible practical approach to accelerate developments towards a society sustainable along all axis, as described before. This can be done at a much faster pace than can be expected based on present policies and approaches. The vision described needs to be further elaborated and tested to become practical and needs to acquire strong support to become reality. In following that route the short and medium term fossil energy availability can, besides climate-, environment- and other objectives, be served as well. This requires however support from many domains to become practically viable. We are looking for strong partners to further quantify and develop the described route and are happy to support the suggested developments. Food processing- and supply industry. This industry is squeezed on the one side by suppliers forcing them to accept higher prices, on the other side by a market, accustomed to low prices, now faced with significantly higher prices they decreasingly can, or already cannot afford (see e.g. the positioning of Unilever in NRC of October 23, “Groene brandstof ten koste van oerwoud”, “Green fuels at the expense of tropical forests”). Support from that branch of industry should therefore be created to get energy transition on a track where it belongs and which is in line with their prime interests. In the CSP business: the CSP business is still weak and is fighting against vested interests. Another way is seeking the cooperation of existing strong parties in the construction of conventional power stations, because again: a CSP power station is nothing else than a conventional power station in which fossil fuel burners have been replaced by mirror fields. Such understanding needs to be created, stimulated, implemented and should result in action. We are interested to receive further reactions and appreciate to discuss the subject in more detail. Post your comments below.